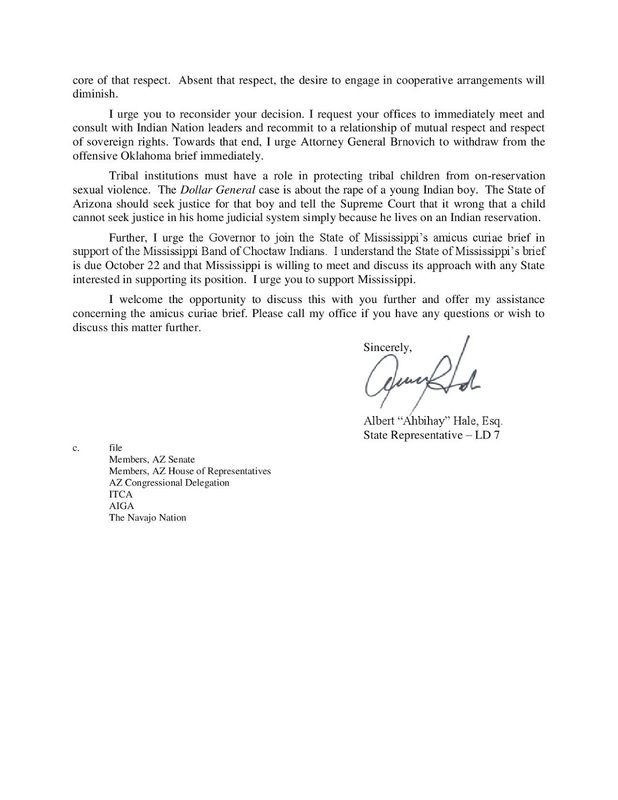 STATE CAPITOL, PHOENIX – Rep. Albert Hale, D-St. Michaels (District 7), recently sent a letter to Gov. Doug Ducey and Attorney General Mark Brnovich, urging them to reconsider the state’s involvement in a U.S. Supreme Court case involving reported sexual violence against a Native American youth who resides on the Mississippi Band of Choctaw Indians reservation. 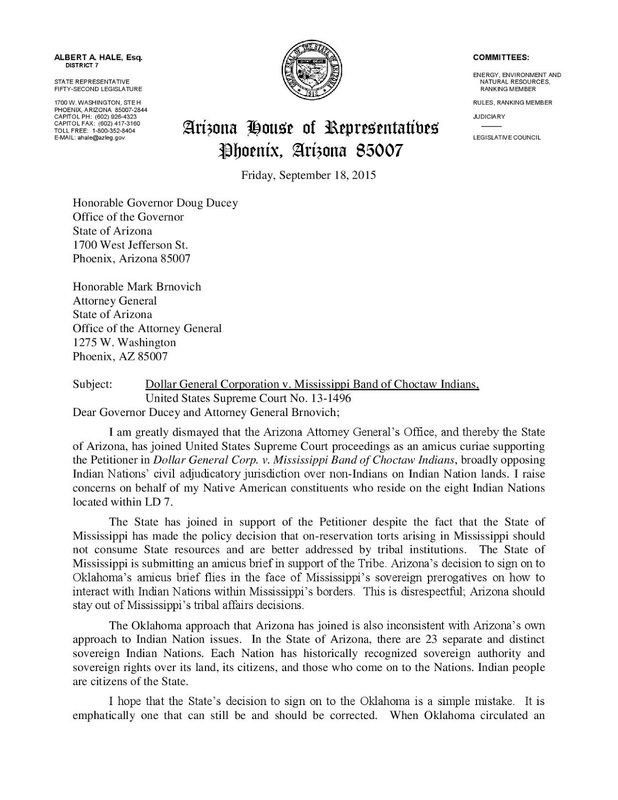 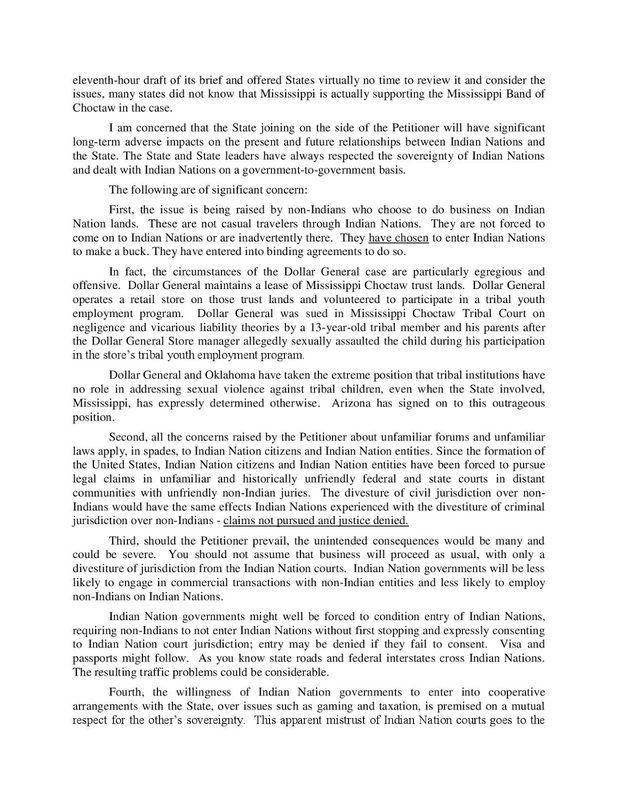 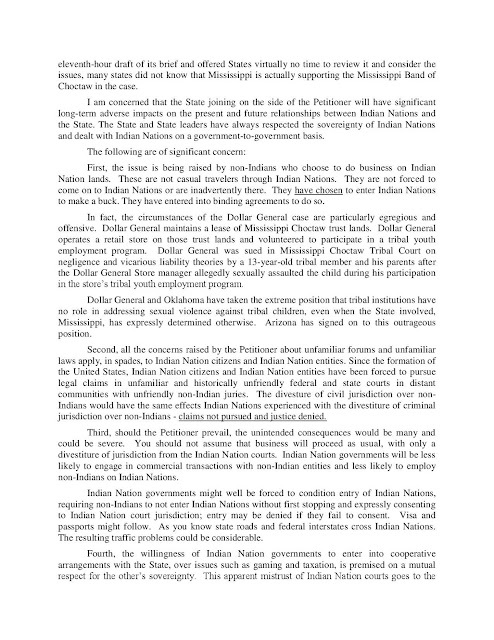 Hale wrote that he is “greatly dismayed” that the Attorney General’s Office and, by extension, the state, signed onto Oklahoma’s friend of the court brief supporting Dollar General Corporation in its case against the Mississippi Band of Choctaw Indians. 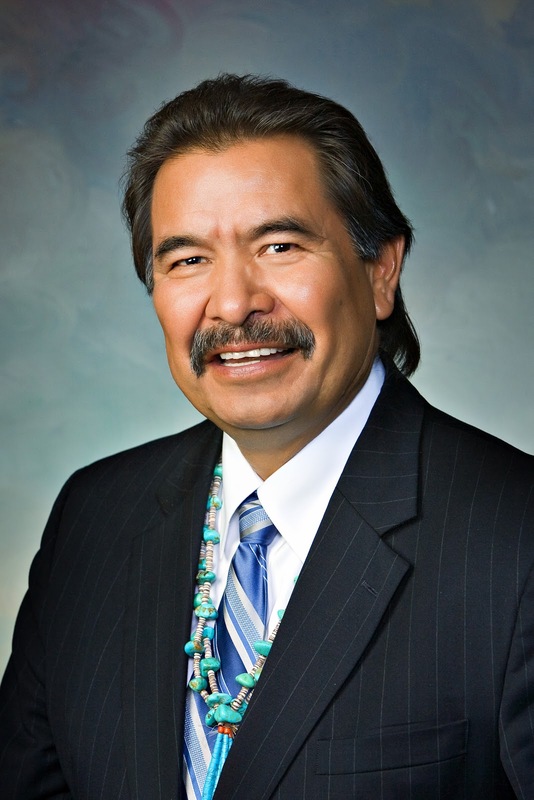 Hale added that he is raising these concerns on behalf of the Native Americans who live within the eight Indian Nations he represents in Legislative District 7. 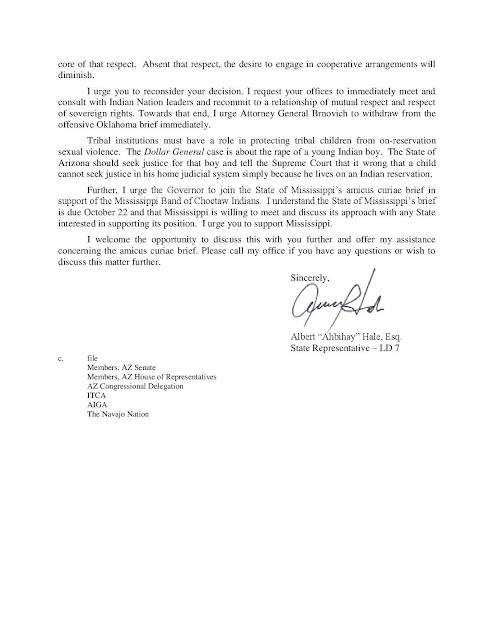 Hale also sent a copy of the letter to other community leaders in Arizona and the country, including the Navajo Nation and the National Conference of Native American State Legislators.